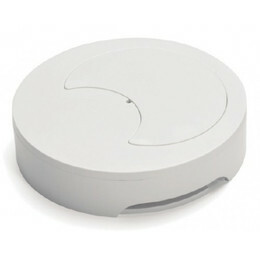 The EN 54-3 approved Mini Fire-Cryer Plus is a slimline base sounder for discreet mounting under fire detectors. It requires no special wiring and can be retrofitted to existing installations. It is fully synchronised and has an exceptionally low current consumption. The units can be use as a replacement for electronic sounders or bells to broadcast a clear message for any situation - evacuation, chemical spills, access message, security or general information. A cover plate is available for wall mounting. Where staged alarm or phased evacuation is required the addition of the FC3/MMSP interface allows up to 7 different messages to be broadcast across multiple zones on just 2 wires.